An innovative solution for structural strengthening, by carbon fibre wrapping, has been installed at Hinkley Point B Power Station for client EDF Energy. 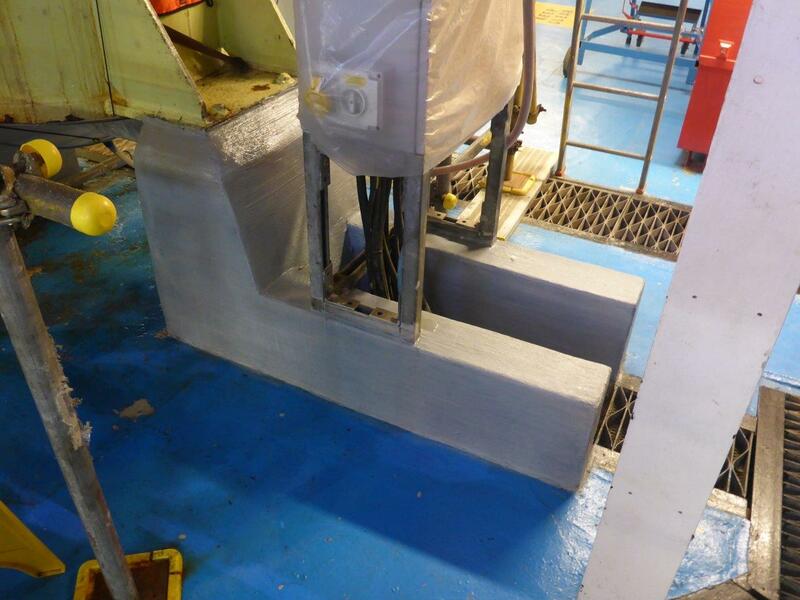 CSC Services have used Carbon Fibre Wrapping to add structural strength to the DW Plinths in the Turbine Hall. Carbon fibre has very high tensile strength and is also very lightweight. When bonded to the exterior of a concrete column, beam, or slab, it can add significant strength without adding weight that would increase the load on foundations and other structural members. 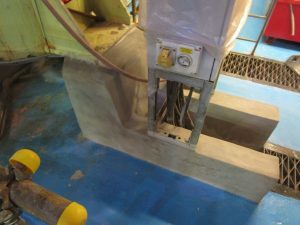 A mix of usually carbon or glass fibre fabrics, and an epoxy resin, wrapping systems are custom designed for each project and application. “For years the DW plinths had simply been painted. 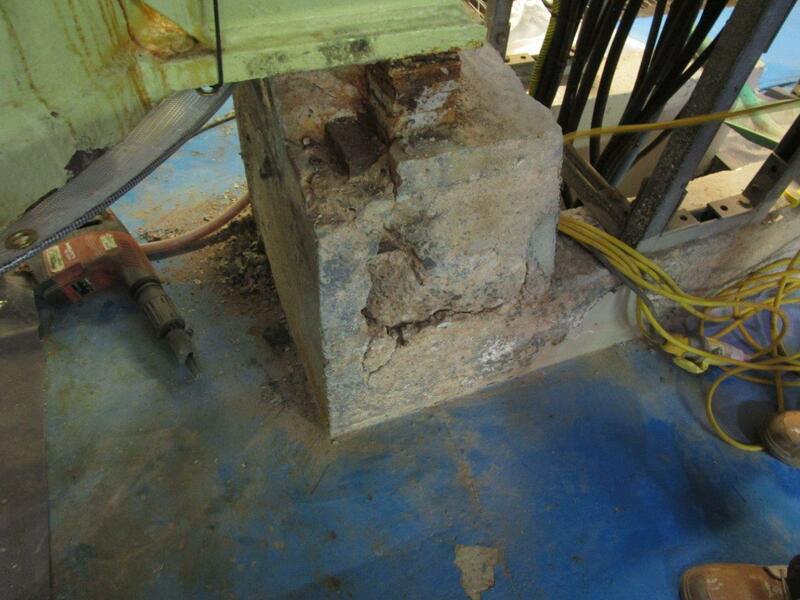 As a result, they had fallen into a state of significant disrepair, putting their structural integrity at risk. 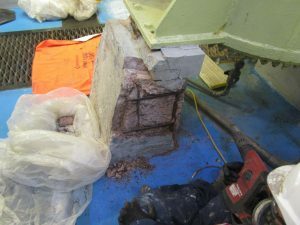 Supporting heavy and expensive plant equipment, it was important that the correct course of remedial action was taken. Successful installation of Carbon Fibre Wrapping requires experience and skill. As with all refurbishment work, the first step is correct surface preparation to remove any chemicals or dirt. Following surface preparation and removal of dust, any defects in the concrete are repaired. Sharp edges and corners are smoothed to prevent stress concentrations. 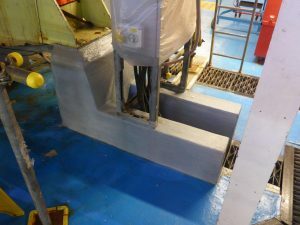 The concrete is then coated with a primer to allow for a mechanical bond before the Carbon Fibre Wrapping is fitted. The fabric can be placed in up to three layers, depending upon design. 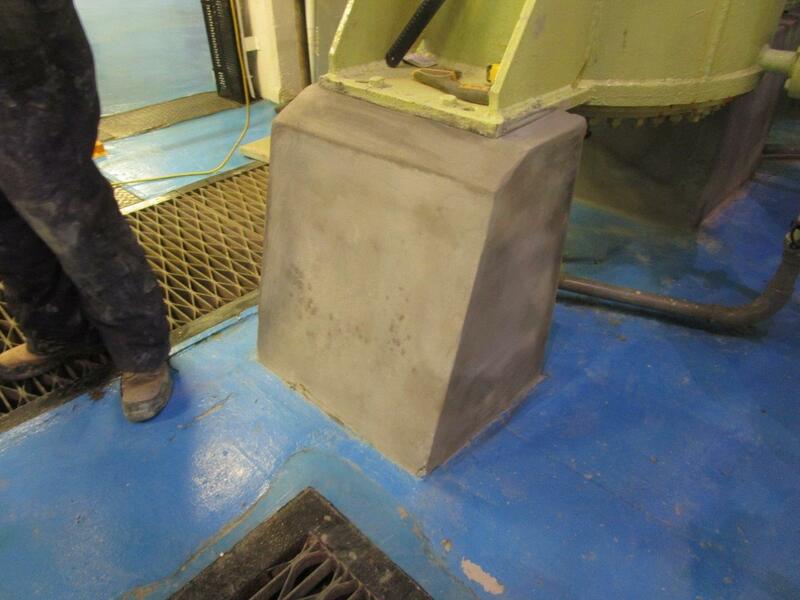 A topcoat will then be installed to provide temperature, chemical and abrasion resistance. 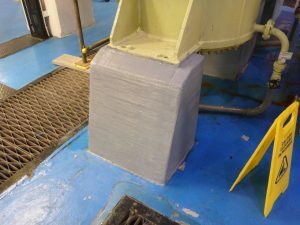 Carbon Fibre Wrapping isn’t suitable for every strengthening project and you should always get advice from a specialist contractor about the best method to use. Please contact CSC Services on 0191 410 3444 for further information. This work has been completed as part of the 2017 Spalling Concrete Remediation Programme at Hinkley Point B Power Station.